My friends and I decided to get some food at SupDogs on a Monday evening. 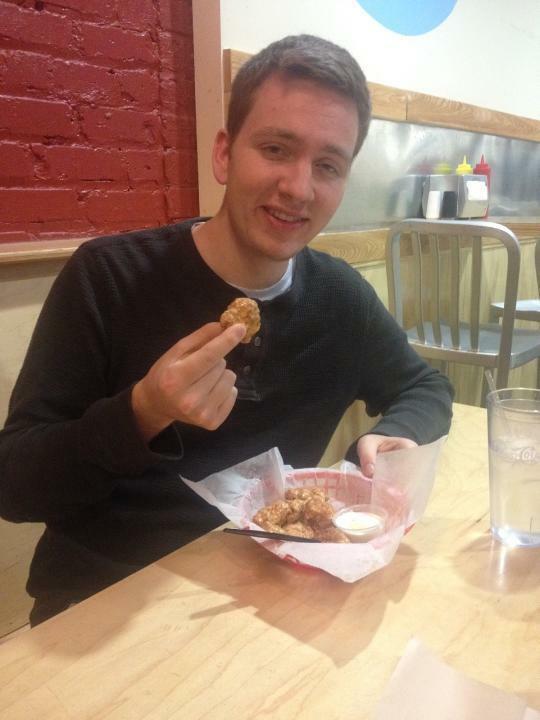 I have eaten their wings before (both boneless and bone-in). I decided to choose this location as my first review, because it is a frequently visited restaurant among my friends, and we have always had terrific service. Sauce/Flavor: The sauce I chose was “Buffalo”. It coated the wings fairly and in a uniform fashion. Unlike your traditional buffalo wing sauce– this had a popping orange tint to it. Nonetheless, it was tasty and easy on the tongue. It did not scream or project a heavy kick. I want to suggest that the cooks added some ranch to the sauce, but there is not enough evidence of this. For those who are concerned about getting their fingers dirty, the sauce was not sticky or messy. 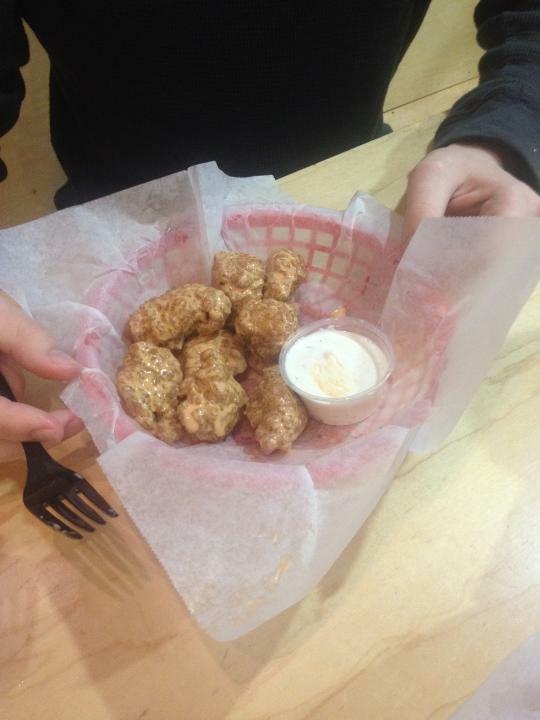 Texture: The boneless wings at SupDogs are just smaller chicken tenders with sauce. The texture was certainly crispy on the outside and a little juicy on the inside. However, there was nothing unique, special, or impressive, thus a high rating cannot be achieved. Proportion + Price: For $6 for half a pound of wings, it seems like a fairly reasonable deal (particularly in Chapel Hill). However, what I (and presumably many others) found out, is that 1/2 pound of wings is not nearly enough to fill a person up with. Along with this, the wings varied in size. Some of the tenders were much larger, meaning that they had to be broken/cut in order to be eaten. Bottom Line: The wings could be good for an appetizer, but don’t expect something of premier quality. ← We have lift off! great description of the wings! really have helped me to decide where to go when i am craving a good ole messy wing night! The review of the wings going into my body was spot on. However, the author clearly failed to identify what it’s like for the wings to exit my body. The burning sensation was so deep and demanded my attention. Whilst sitting on the toilet I could not help but scream in pain. Unfortunely because I spent all of my life savings on a basket of wings I still live in an old run down apartment with thin walls. My neighbors heard my cries of agony and assumed that I was being brutally murdered. They called the police who kicked down my door and found me sitting on the toilet screaming blood murder clenching the seat below me. The worse part is now I won’t get my security deposit back and won’t be able to try any more wings.